14 days of back to back video tutorials, showcasing the stunning new products from both the Spring Catalogue, but also the Sale a Bration free products too! It is also in conjunction with the Online Class that I’m doing with Angie from Chic n Scratch, and the two will work hand in hand together. Details for the Class are here! Well after my words failed me yesterday, I’m pleased to say that the power of speech has returned. Is that a good thing? I don’t know, you decide! 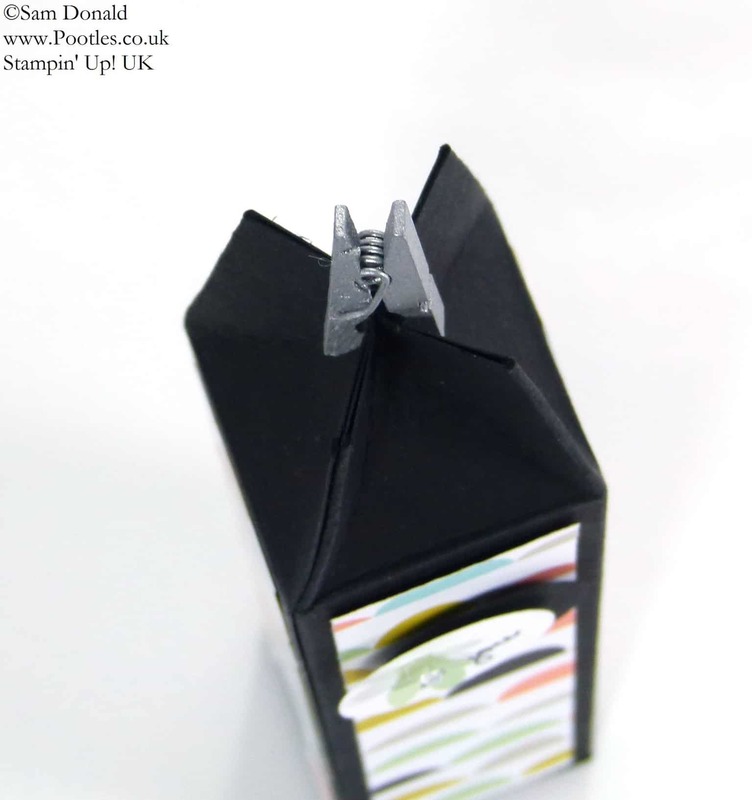 But this box is so cute that I could wax lyrical about it for ages, but I won’t go on too long…! The finished dimensions are 1 1/4 x 4 1/4″ (3 x 10.5cm) and great for holding all sorts, although this was designed for a skincare maker friend of mine, so it will hold small lotion bottles too! It’s a super easy build, as my projects mostly are, but it’s the top that I think makes this so cute. It’s pinched in on all 4 sides to get a sort of ‘star’ shape as you look down on it. And that mini peg is just so cute! So here’s the video, please do click HD to watch, and if you prefer to watch on youtube, click HERE! 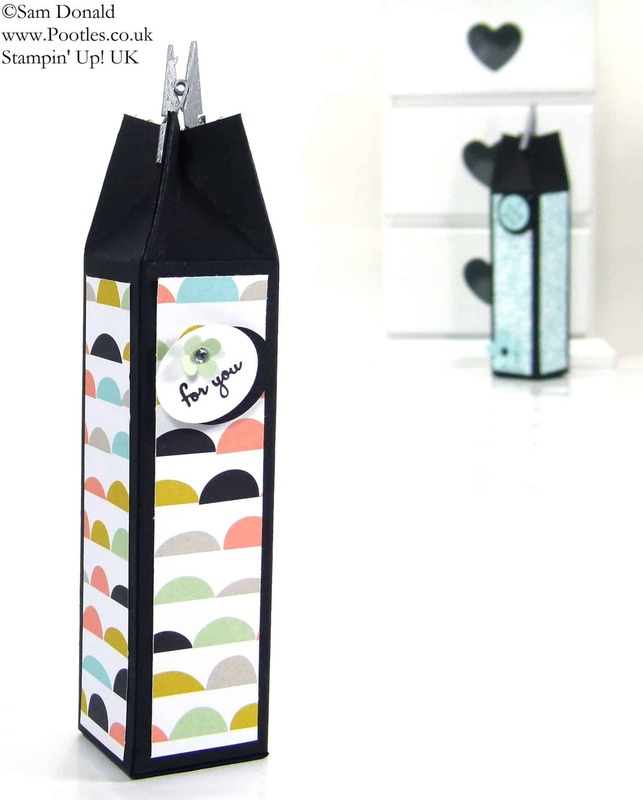 Designer Series Paper – Sweet Sorbet FREE Sale a Bration product! 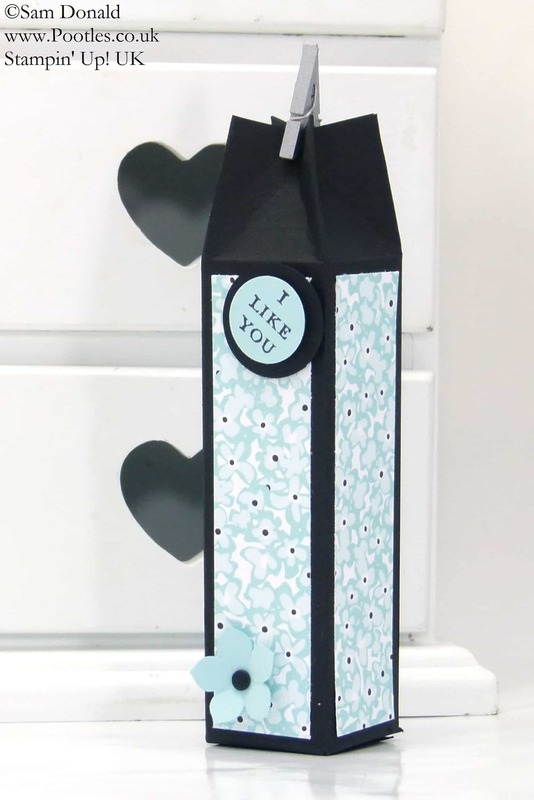 Stamp Set – You’re Lovely FREE Sale a Bration product!